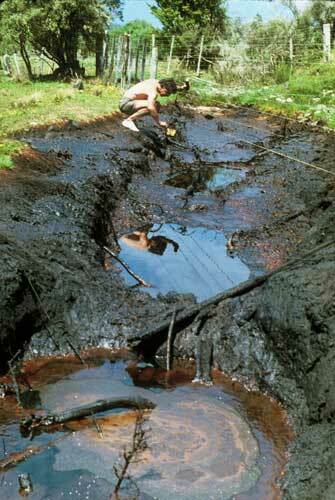 Oil and gas naturally rise to the land’s surface when they can find an escape route. At Kōtuku there appears to be a subterranean fault, which has allowed the oil to escape to the surface, forming one of New Zealand’s largest oil seeps. The area has been prospected and drilled for over a century, without finding commercial quantities of oil.